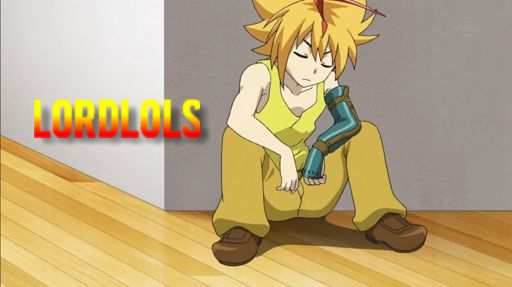 With recent reports indicating that the new 12 Core Disk from Beyblade Burst Super Z can cause damage to other parts, we have decided to introduce a restriction on its usage. Effective immediately, the 12 Core Disk must be used with a Frame at WBO Organized Play tournaments. While it has not yet been determined for certain, the primary issue appears to be pairing the uncovered 12 Core Disk with Drivers that are taller than normal, such as the new Volcanic Driver. By forcing a Frame to be used with it, any issues with it damaging other parts will be avoided. If evidence suggesting otherwise appears in the future, or if TAKARA-TOMY releases another version of the 12 Core Disk which is less aggressive, this decision may be reconsidered. Nice! I know being at a tournament is supposed to be fun, and banning this disk will help people have more fun and be chill instead of being on edge. (V.12.E)So yeah. In all, good job team! J.J. it cuts/stabs at the layer of other beys. It cut into some of the rubber on my Drain Fafnir. You can see more damage in the video below. I grabbed a screenshot of one part, if you'd rather not watch the video. (Mar. 23, 2018 6:52 PM)Frostic Fox Wrote: @[Bey_$avage] in seeing that video, I have to say that I am inclined to believe that the damage on my Fafnir came about through 12. Though I honestly did not inspect Fafnir thoroughly before using it, only after when reading about 12's damaging potential, the placement and shape of the cut on Emperor Forneus very much reminds me of the one on my Fafnir. Maybe Hasbro will be well aware of this, and will begin to try and find a way to prevent it from doing intense damage to other parts by redesigning it as a whole to make the spear point blunter and less destructive, or, if Hasbro is over-reactive, remove the part altogether and replace it with Winning Valtryek ?? Vl. We don’t want Hasbro to remove the part entirely because it damages beys too much, we just want them to make 12 non-damaging whatsoever. Tony did notice how intense weight of 12 would be pretty big of a deal here. If the 12 disc is heavier than 7, expect the end of all your beyblades when launching without a disc frame. (Apr. 09, 2018 6:04 AM)IronFace879 Wrote: Tony did notice how intense weight of 12 would be pretty big of a deal here. If the 12 disc is heavier than 7, expect the end of all your beyblades when launching without a disc frame. 12 is said to be the lightest of all the discs so far. It's definitely not heavy, in the least. But it still does damage fairly quickly as it is. It would be way worse if it was heavier, I'm sure. I’m not a Tomy collector, but I might think that the disc frames could still leave a little of the spear tip of 12. See if you could try each of the frames on just in case. Even a little showing of the spikes will be harmful. I just don’t know if 12 is bigger than the frame. Why can't they make a 12 disc? This infringes on the rights of Bladers we should be able to use what ever combo we want as long as it doesn't make a combo that can't be beaten, but it's ultimately your descicion , I just hope you reconsider your decision so bladers who don't have frames, can use the 12 disc freely. (Apr. 19, 2018 3:37 PM)vvakhaze Wrote: This infringes on the rights of Bladers we should be able to use what ever combo we want as long as it doesn't make a combo that can't be beaten, but it's ultimately your descicion , I just hope you reconsider your decision so bladers who don't have frames, can use the 12 disc freely. The 12 disc damages many layers and it is still outclassed in every way. Those who don't have frames shouldn't use it and those who do still shouldn't use it because there are much better options. Nevermind I see your point, that still won't stop me from using 12, I'll just use it with my fav frame: vortex. (Apr. 19, 2018 3:40 PM)RichieBoi Wrote: The 12 disc damages many layers and it is still outclassed in every way. Those who don't have frames shouldn't use it and those who do still shouldn't use it because there are much better options. Regardless of competitive value, you're free to use it with a frame. If someone was at a tournament and all they had was a Winning Valkyrie, so they didn't have a frame or a different disc to use, they may find someone to borrow a piece from. After 12 damaged my favorite layer, I put it off to the side. Until I see there is an actual use for the lightest disc in the game, it can just sit and be pretty. But to each their own, of course. 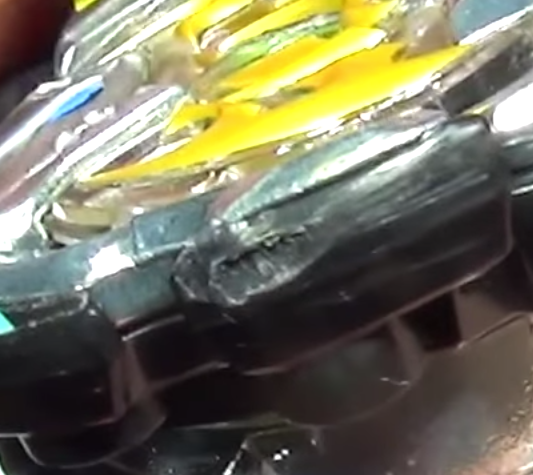 I guess Takara Tomy was a little too intense with the design for the beyblade and forgot to do the observations when they were testing 12. Ok I get why not to use the twelve disk so to prevent damage could you Tomy or Hasbro(twelve disk not made yet for Hasbro) you can just make it plastic? (Apr. 29, 2018 6:55 PM)Xxswordylegend Wrote: Ok I get why not to use the twelve disk so to prevent damage could you Tomy or Hasbro(twelve disk not made yet for Hasbro) you can just make it plastic? That's up to Takara-Tomy and Hasbro. 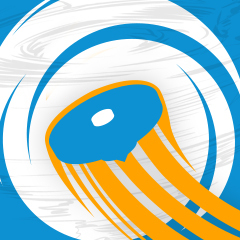 WBO is in no way affiliated with the official companies of Beyblade. We're all fans here. So for now, the solution is to cover up 12's points with a plastic frame if you want to use it. If you deem it worth using at all, anyway. I can justify this as well. The first time I put Valkyrie against my Z Achilles, it gouged a decent scar into the Achilles layer. If you guys want a similat approach but with less damage, I would try the Reach frame. Make Weight Disc Attack a thing again. XD I support this all the way. There's no way they are not going to recreate it. They fixed Victory Valkyrie's wings problem. I doubt they wouldn't release a better version of 12 for people who want to use the stock parts of Winning Valkyrie. (May. 05, 2018 12:52 PM)g2_ Wrote: There's no way they are not going to recreate it. They fixed Victory Valkyrie's wings problem. I doubt they wouldn't release a better version of 12 for people who want to use the stock parts of Winning Valkyrie. I agree that Hasbro likely won't release 12 as-is. They will either fix it or pick a different disc. I lean more towards fixing if TT creates a fixed version. The person I was replying to seemed to think the WBO could do something about it, as if it's affiliated with the companies. As far as I understood anyway. Takara Tomy is 99% going to fix it. (Apr. 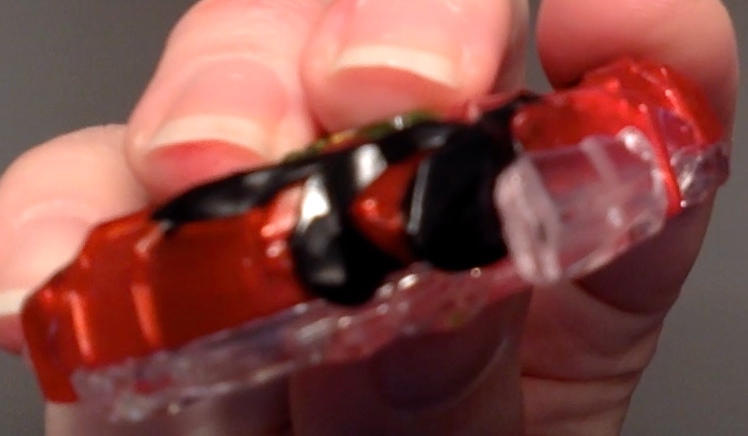 09, 2018 6:04 AM)IronFace879 Wrote: Maybe Hasbro will be well aware of this, and will begin to try and find a way to prevent it from doing intense damage to other parts by redesigning it as a whole to make the spear point blunter and less destructive, or, if Hasbro is over-reactive, remove the part altogether and replace it with Winning Valtryek ?? Vl. 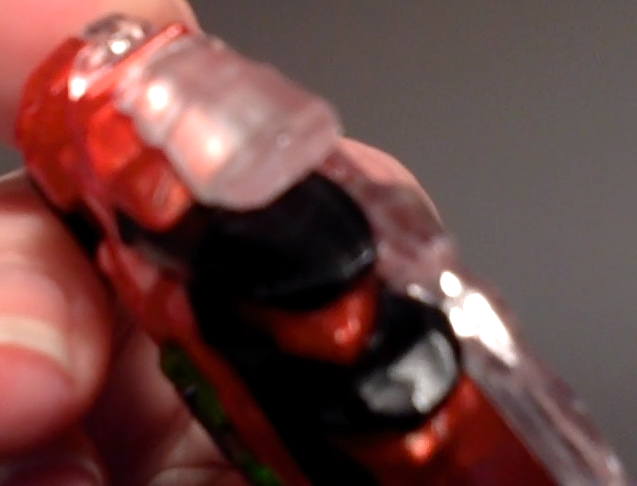 We don’t want Hasbro to remove the part entirely because it damages beys too much, we just want them to make 12 non-damaging whatsoever. Tony did notice how intense weight of 12 would be pretty big of a deal here. 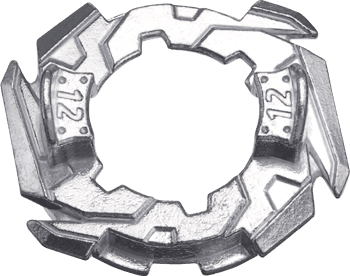 If the 12 disc is heavier than 7, expect the end of all your beyblades when launching without a disc frame. Since 12 is making a reappearance in B-113, I would hope TT will release a fixed version there. Only time will tell.